The fame, glamour and adulation may seem like a dream, but an actor is always a loner searching for moments of catharsis, says Shahid Kapoor. The 37-year-old star says the emotional journey he goes through when he alone contributes a lot in the growth of the performer in him. “As an actor you are always lonely. You are always in spotlight so that’s what people see. But when you are on your own, it’s very lonely. And it’s a journey that’s personal. I believe, at that time, something emotional happens which reflects in my performance,” Shahid said. The actor says he holds these moments of loneliness close to his heart as “that’s when I am being completely honest to myself and probably changing from inside”. “What actors do is, we emote. So, the more there is inside, the more there is to throw out. I have learned to channelise that, which I believe is very important for a long-lasting career. Otherwise, this is a very jumpy job. You are constantly up there, down here. So you try to find that nice place which is your own and just keep that intact,” he adds. Shahid says it is important for an actor to be “selfish” if they want to excel. “If you want to be really good at what you are doing, you need to give it time. And that is essentially your time and it’s your desire to be what you want. I think anything that is a personal ambition has to have some amount of selfishness attached to it. And the good thing is to be honest about it,” he says. 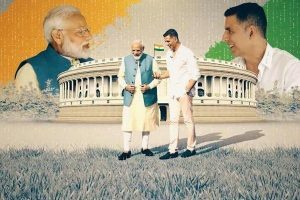 The actor, who made his footing in the Hindi film industry as a romantic hero with films like Ishq Vishk, Fida and Vivah, went through a drastic makeover courtesy his mature performances in Kaminey, Haider and Padmaavat. Shahid says his career has had an inconsistent graph, but in the past one decade his aim has been to focus on the content which stays relevant. “When I look back at my career I feel ‘Wow I did some really bad movies’ and ‘Wow I did some really great movies’ and they were all like mixed up and were back to back. It is crazy because it has been little inconsistent. In the last four or five years, the effort has been to try and participate and, create content that is consistent. “I believe I was learning in the first 10 years of my career. I am still going to learn. I will be learning all my life. But I am little more aware now and my choices are little more consistent. It is an important change,” he says. 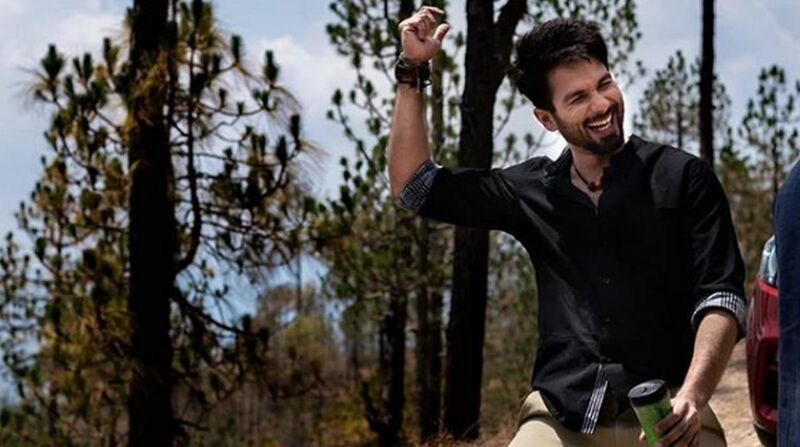 With consistency, Shahid says the fear of failure he had during the initial years of his journey in movies has faded. “I am aware that failure will happen at some point or the other, but the important part is what you are focusing on. My energies are focused on the process and getting it right and being able to do everything that needs to be done,” he adds. The actor says the best part about being in a creative field is that one gets numerous chances to prove their talent. “There are new opportunities every day. One can present themselves many times over. One gets to work with different types of filmmakers. One gets the opportunities to change things that they might have done wrong. Shahid’s next release is Batti Gul Meter Chalu and the actor says he decided to do the film because he wanted to play a real and flawed character after essaying the role of a “proper” king in his last release “Padmaavat”. “In my last film I was playing a very proper, very introverted king, which was a rather unrelatable character. Here I am playing a real guy, kind of imperfect. He has a lot of things which are not at all inspirational, which makes him so normal. The film is made for the masses,” he says. The film, also featuring Shraddha Kapoor, releases on September 21.